This book, written by a philosopher interested in the problems of social science and scientific method, and a sociologist interested in the philosophy of science, presents a novel conception of how we should think about and carry out the scientific study of social life. 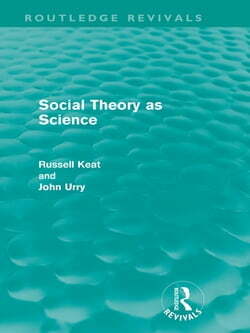 This book combines an... read more evaluation of different conceptions of the nature of science with an examination of important sociological theorists and frameworks. This second edition of the work was originally published in 1982.